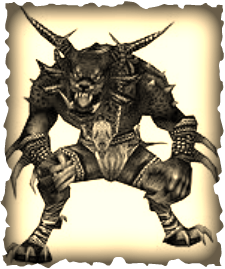 My name is Khavooze, I am a soldier in the Funkfurr Warband. I've got little time to write this things down for the future generations to remember, so I'll make it quick. 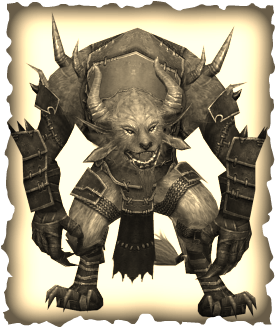 The Charrs, most of the time, do not think of themselves as individuals, but as a warband. We've been raised up with this spirit in our minds. Our story, is our warband story. My warband and I, together with hundreds of other warbands of Charrs... we had been fighting the humans for very long time. We'd actually won the war with them on all fronts: Ascalon, Fort Runik, Nolani just to name a few. Yeah! We have conquered our lands back and pushed those humans away to Kryta. HA, HA HA.... these humans were not so good at war compared to us. I pity them Ha HA HA... RAWRRRR! I remember once, some of us joined the humans to fight an alien enemy. They called it the Great Destroyer. Ok, I've got to go now. Duty calls. I''ll continue this later.... or not.